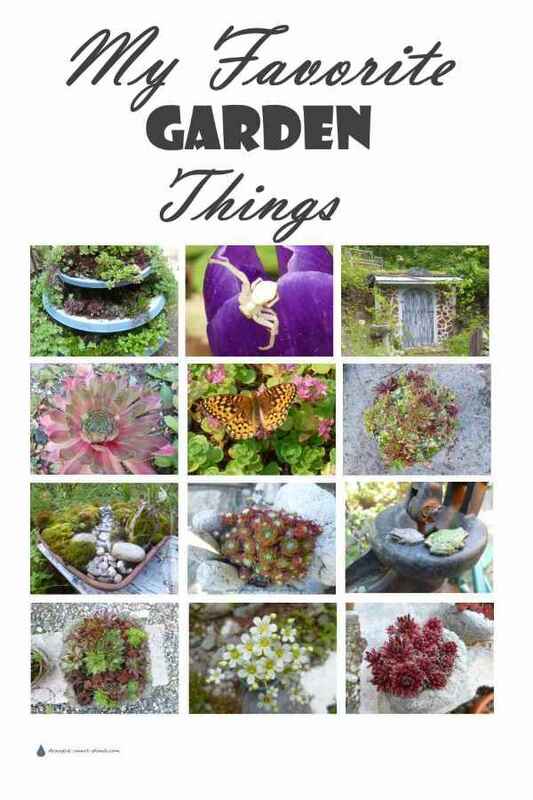 Here are some of my Favorite Garden Things; which is yours? 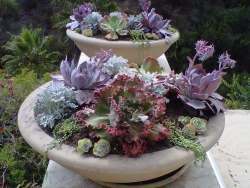 Surrounding yourself with great crafts and beautiful plants, combining foliage, texture and blooms in artistic ways, using plants almost like paint, and having fun the whole time is what gardening is all about. I'm big on providing nooks and crannies for the wildlife, planting lots of junk with hardy succulents and making my garden self sustaining and low maintenance. I like little hidden secret spots to sit and enjoy the birds singing, and sink deeper into the tranquility of my special garden; it's xeric, rustic, romantic and organic, and I don't think I'm alone in this. It's obvious from looking around other gardens that there are a lot of us on the same page. There is nothing like spending a few hours in the garden weeding, pruning and just generally decompressing after a day in the hustle and bustle. It regenerates the soul, and gives you a feeling of relaxation and satisfaction like nothing else can. There is a new trend of making funky planters out of thrift store finds and flea market treasures, creating hand made window boxes from driftwood and barnboard and just feeling an intense enjoyment and pride. Reusing and reinventing old chairs, suitcases and other cast off rubbish to decorate your garden, and making diy garden art of all kinds is a new lifestyle. What are some favorite things in your garden?